Night Shyamalan stayed true to his vision as writer/director as he closes out a fictional ‘real-world take on superheroes’ trilogy, that started with Unbreakable starring Bruce Willis and Samuel L. Jackson in 2000 and was followed by Split starring James McAvoy in 2016. For many, M. Night’s filmography since his breakout Sixth Sense smash with Bruce Willis has been fairly hit or miss; a cup half full of intriguing thrillers, or a cup half empty with films that missed their mark depending on how you measure his success. The film is strong in holding to the world that was established in 2000, and mostly pulls compelling performances out of its stars and supporting actors. Anya Taylor-Joy reprises her role as former captive of Kevin Crumb and his 23 other dissociative personalities (McAvoy). David Dunn’s (Willis) son, reprised by Spencer Treat Clark has grown-up alongside his vigilante father, assisting as the ‘guy in the chair’ and tracking The Overseer’s (Dunn’s alias) presence on social media. Mr. Glass’ Mother, played by Charlayne Woodard, returns to fill in some of the villain’s motivations and backstory. There is also a nice deleted scene from Unbreakable thrown in the mix to remind the audience of what David Dunn and son have been through. Where the script sort of falls apart is how the movie spends most of its runtime subverting the superhero genre (the showdown must take place at the ‘marvellous’ tower- no wait, no it mustn’t) and misunderstanding fundamental comic book concepts (limited series and origin stories are not mutually exclusive concepts!) to its detriment; that when the M. Night infamous final act twist comes along it DOES fit, however, it doesn’t feel earned as there was not much connective tissue established with Sarah Paulson’s psychiatrist Dr. Staple (desperately trying to hold Unbreakable, Split, and Glass together?) for the audience to really care. Paulson gave an admirable performance, but the script has her on some daft mission to trick the gifted prisoners into thinking their incredible powers have been delusions inspired by comic books. This didn’t really land well considering we have had two movies now which showcase just how extraordinary these individuals are. 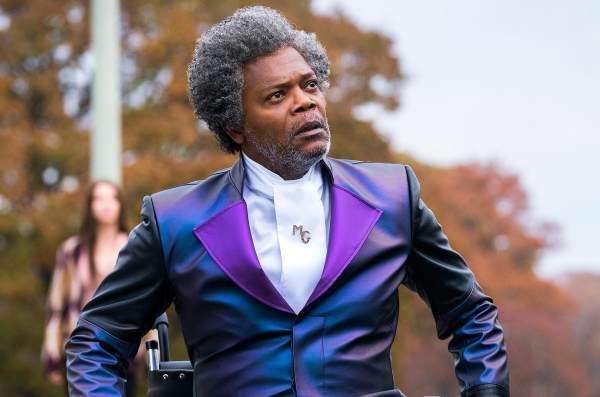 Ultimately, this is a serviceable ending to M. Night Shyamalan’s superhero series that it sounds like he is finished with after Glass, but it leaves a lot to be desired in terms of achieving a payoff that should have been polished over the course of the entire movie and not just the third act. There are great moments from the film’s protagonist(s)/antagonist(s) that still result in an enjoyable experience, mainly with McAvoy’s tenacity portraying The Horde, and Jackson’s ferocity as a seemingly broken but somehow still menacing Mr. Glass. Willis does a commendable job continuing the vigilante’s story, yet feels somewhat side-lined compared with the rest of the film’s cast. There is some intrigue to this story that relies on its psychological dive into its characters over big and loud action set pieces. Beautifully shot for its low budget, yet could have benefited from a tighter script, resulting in a good time at the theater if not for another disappointing ending from Shyamalan. Side Note: Didn’t want this to affect my rating of the film as a whole, but I still thought it was worth mentioning; M. Night’s ritual cameo in this chapter couldn’t have been more on the nose, and the attempt to blatantly string together your movies through this one throwaway character when it was neither necessary nor effective is deplorable and pulled me right out of the movie in that moment.